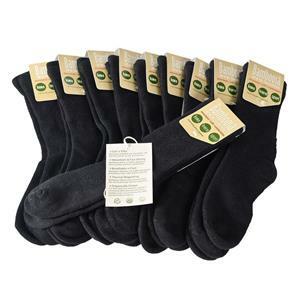 Description: World’s Best Deluxe Basic Black Softest Socks! Golfer, Tennis Player, Runner. Feet stay dry and cool in our Bamboosa socks! 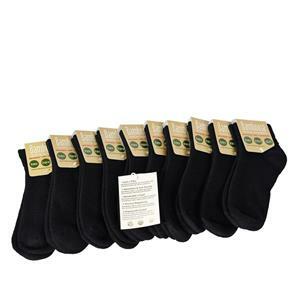 Super absorbent and ultra soft, these crew socks are great for hiking, climbing or just to keep your feet warm. Great for pain feet and sweat feet! Wicks and evaporates sweat and doesn''t stick to the skin. Excellent permeability, keeping your feet comfortable and dry. Breathable and cool in hot weather. Highly absorbent, causing feet to stay fresher and odor free. 85% Viscose from Organic Bamboo/ 10% Nylon / 5% Lycra. 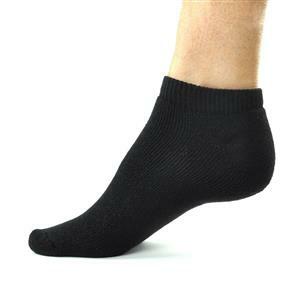 Description: World’s Best and Softest Socks! Golfer, Tennis Player, Runner. Feet stay dry and cool in our Bamboosa socks! 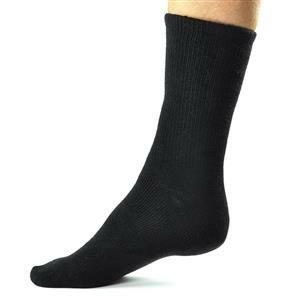 Super absorbent and ultra soft, these crew socks are great for hiking, climbing or just to keep your feet warm. FREE Shipping on orders over $120 + FREE 365 Day Returns and Exchanges in the U.S.
Care: Machine wash cold or warm, tumble dry low, non-chlorine bleach only. Content : 85%Voscose from Organic Bamboo / 10% Nylon / 5% Lycra. Made in United States of America. DESCRIPTION: World’s Best and Softest Socks! Feet stay dry and cool in our Bamboosa socks! 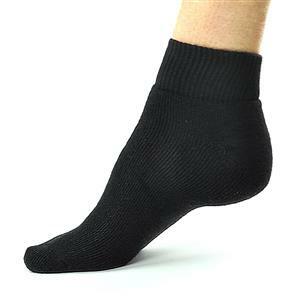 Super absorbent and ultra soft, these ankle socks are great for working out, running or just to keep your feet warm and comfortable. No more Sticky Feet. Care: Machine wash cold or warm, tumble dry low, non-chlorine bleach.